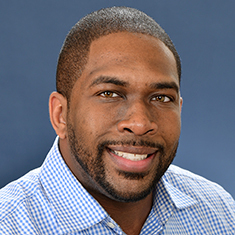 Terence "TJ" Finley is an associate in the Litigation practice. His practice is centered on complex civil litigation and dispute resolution matters. His practice covers a broad range of corporate litigation matters, including complex contractual matters, securities litigation, entertainment and media litigation, intellectual property and copyright litigation, sports and sports facilities matters, and employment law litigation. TJ represents clients in state and federal courts throughout the country on a multitude of issues. TJ also has a robust pro bono practice. He has represented refugees seeking asylum based on the threat of persecution in their home countries, minors seeking citizenship in the United States and victims of domestic violence. Before joining Katten, TJ clerked for the Honorable Justice Dale Wainwright on the Supreme Court of Texas. Shown below is a selection of Terence’s engagements.